In the American Anthropologist, the one hundred plus year journal of academic anthropology, Professor Robert Rotenberg reviewed Tokyo Green Space as an example of public anthropology. The article came out last fall, but I only recently learned about it. I am very honored to be recognized, and hope that it leads to more discussion about the value of anthropology for public policy and new urbanism. Next, Robert Rotenberg discusses Jared Braiterman’s Tokyo Green Space blog on “microgardening.” The blog is documenting efforts to use gardening in the smallest and most unusual urban spaces—rooftops, walls, schools—“to support biodiversity in the world’s largest city” (this issue). 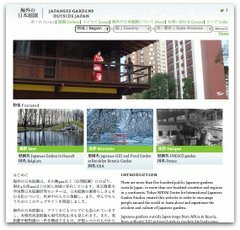 Of particular interest to environmental and urban anthropologists, not to mention gardeners, Rotenberg’s review describes a blog that combines design anthropology, lush color photography, and the eye and imagination of the flaneur to explore a transforming Tokyo. The citation is Rotenberg, Robert, Tokyo Green Space, American Anthropologist, volume 112, number 3, pp 463-464, September 2010. You can download a copy here. Congratulations Jared, a great honor.